Where will my ad show up? You can pick any town / city in the US to promote your business. As soon as you launch, your ad will start appearing on thousands of smartphone apps ranging from news to weather to games. View the comprehensive list of mobile apps. in our network. This is just one example to give you an idea of what you ad might look like. Your ads appear as a banner across the bottom of the most popular apps in your local region. Your business logo and link to email are clearly seen at all times, and your custom text is continuously looped. Your logo. Your message. Link to contact. Keep it Real Social has access to thousands of mobile apps where your ad can be displayed. Using the mobile phone GPS tracking, Keep it Real Social can select mobile app users located in the town of your choice and display your ad in the app, helping you reach potential customers in that town. Do I get to pick the apps? Think of Keep it Real Social as your digital billboard. Anybody in your hometown using their phone can see it. No matter which app shows your ad, you can be assured that it is only targeting people in the city of your choosing. While this may include additional people outside your target market, they may talk to someone who is in your primary market. What are some examples of the apps my ad will be seen on? Here are just a few of the mobile ads we bid on and we bid on 1,000’s. 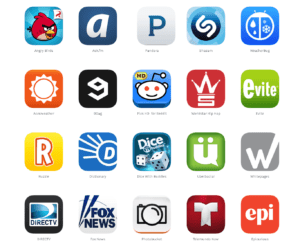 View our comprehensive list of mobile apps. in our network. What will happen when somebody clicks on my ad? 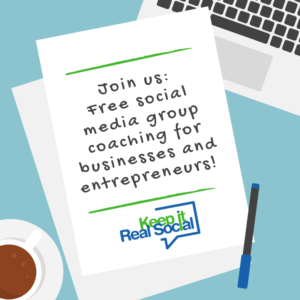 In addition to promoting your business,Keep it Real Social also connects you with potential interested customers. When a user clicks on your Keep it Real Social ad, it means they are interested in your business. They can directly visit your website, or send a text, or send a message via email requesting more information from you. Customers who view and engage with your ad are prompted to generate either an email lead or text-lead, or be directed to the business’ website directly. You choose which option works best for you. Step 3: Select a monthly plan and launch your ad. Do I get any stats? Yes. 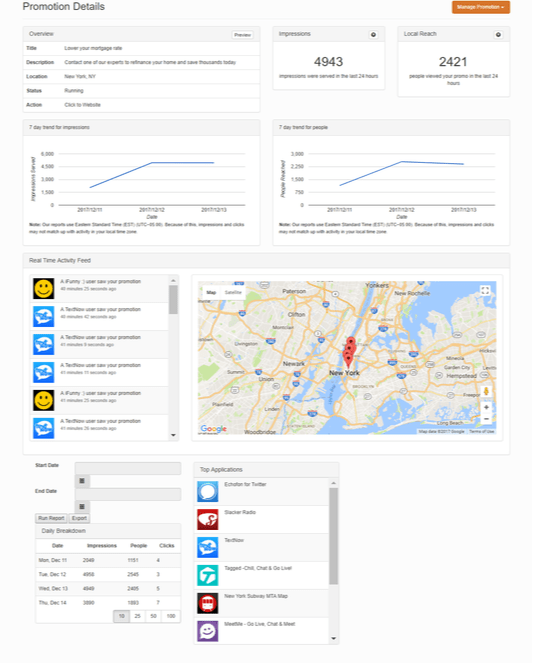 Real time stats, showing number of ad views delivered, apps your ad was displayed on, and the precise location where your ad was viewed, can be directly accessed from your online account. I’m not very tech savvy, would you help me set everything up? Of course. If you need our help, there are packages that are designed to fit your budget and needs.